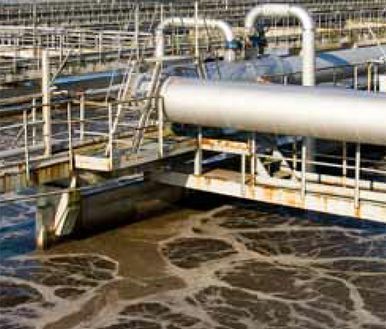 Water and wastewater treatment plants are usually continuous flow operations, with additional treatments at certain points in the process such as vacuum filtration,dosing of chemicals, sedimentation, storage and disposal of the treated sludge. In addition to these processes there are water treatments that have a periodical operation; running once a week or once every day. A combination of these three. Slurries & residues are highly corrosive, abrasive and need pumps that are able to handle highly viscous fluids. The Verderflex, Verderpro and Verderhus ranges are designed to handle difficult to pump media, equire low maintenance and are relatively low in cost to operate. The injection of lime is essential during the storage of sludge. Verderflex, Verderpro and Verderhus pumps are very good for pumping and dosing lime. The pump models are leak-free, deliver precise dosing and can operate sterile to the environment. An imbalance of low and high pressures can occur as a result of injecting the fluid for a chamber filter press system. With their extended range of accessories, Verderflex and Verderpro pumps ensure a trouble-free, controlled operation. The Verderair AODD range is suitable for the delivery of media into a press system as it is self-regulating in accordance to the build-up of pressure from the filters clogging and slowing down the flow rate through the chamber. The thickening treatment process requires pumps capable of transferring viscous fluids. Verderflex, Verderpro and Verderhus pumps are suitable for the transport of corrosive fluids, fibers and particles, whilst adjusting to changes in viscosity and minimizing energy consumption. The dosing of liquid polymers into sludge during the separation and dehydration process requires precise measurement at all stages of the treatment. Verder pumps can dose the fluids precisely at high pressure and without shear. The transfer of lime milk or activated carbon is an essential step in the treatment of wastewater. Verderflex peristaltic pumps are designed to provide the highest performance whilst having the smallest footprint. Maximum efficiency, reliability and reduced maintenance costs are ensured when using Verder pumps.